With over 25 years of building quality cabinets one kitchen at a time, Wellborn Forest continues to develop innovative cabinetry with you in mind. They offer a wide variety of design choices from traditional style to contemporary style for you to have the cabinetry of your dreams. 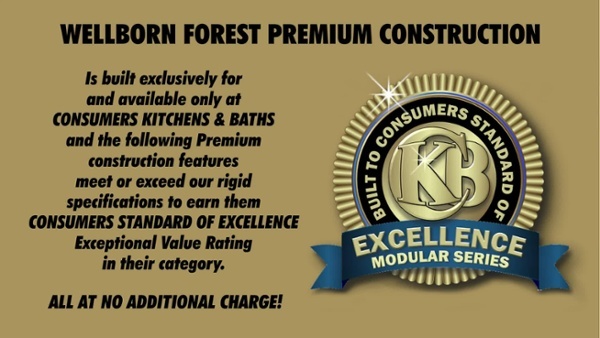 For a limited time, our Wellborn Forest elite construction kitchen cabinets include our famous cabinet upgrades at absolutely no charge! Browse through these photos of Wellborn Forest kitchens for ideas and inspiration! Learn more about all the different design choices, finishes and accessories to choose from and so much more. Want to learn more about how we can create the Wellborn Forest kitchen of your dreams?